Start taking classes at Flywheel Sports: Precision Training and other studios! Offering both FlyBarre & FlyFIT Classes. FlyBarre (Classic 60, Power 45, Sport 50, Arms & Abs) is a fun, high-energy workout that quickly tones and strengthens muscles. We switch up our routines frequently, so although we always concentrate on arms, core, thighs, and glutes, we guarantee you won’t get bored. Let our expert instructors lead you through carefully crafted exercises that sculpt and strengthen — for visible results! FlyFIT (Total Body 50, Upper Body & Core 50). FlyFIT (Functional Intense Training) classes blend strength training, low impact cardio, and endurance-based strength and mobility exercises, combined with high intensity intervals. Using heavy weights, resistance bands, and functional body movements, you can expect to get sweaty and end every class feeling stronger than when you arrived. 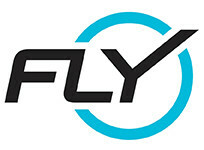 FlyFIT prioritizes proper form and includes a lot of individual coaching from our world-class instructors. This studio was previously known as "Flybarre" on ClassPass! Please be sure to check-in to class prior to class time to avoid a no-show fee. This studio has four check-in options: Self check-in via Flywheel app Auto / geo check-in via Flywheel app Self check-in via studio tablet at the studio entrance Check in with Flywheel staff member at the front desk We also encourage you to download the Flywheel app to utilize the auto check-in feature. You can download the most updated version of the Flywheel app and follow the prompts to enable location and Bluetooth. Once complete, you’ll be automatically checked into class as soon as you enter the studio! This class was awesome! Fast paced, high energy music and hands on instructor! Kerry was a very welcoming teacher and had great music. She was encouraging and this class did not feel exclusive towards someone who doesn’t do barre that often. It was fun and I will definitely be back to Kerry’s class. Awesome instructors. Challenging workouts but yet accessible for any fitness level. Will be back for more ???? By far my favorite abs &amp; arms class out there. Also love Myra’s energy!! Jen is the best! This class is always tough and fun. So glad the time moved to 6am!